$250. 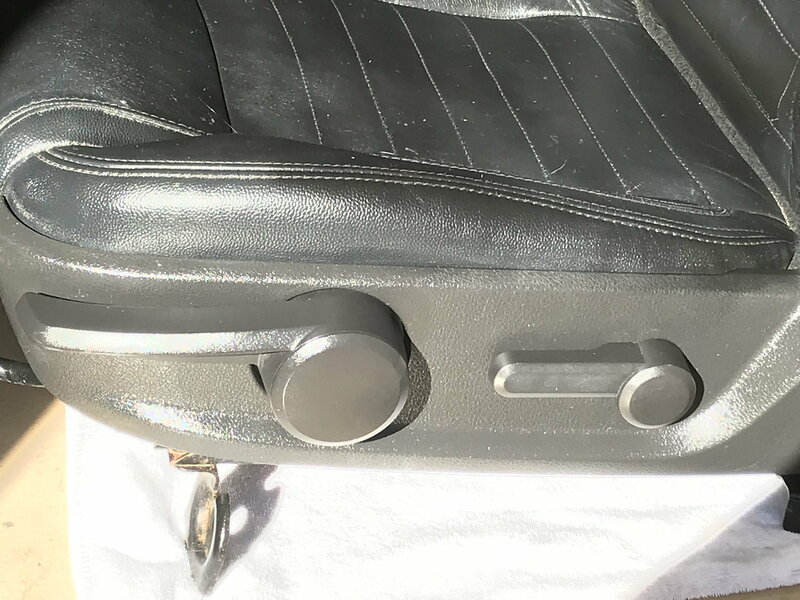 This is an authentic set of Ford Mustang Front Leather OEM Seats - black. 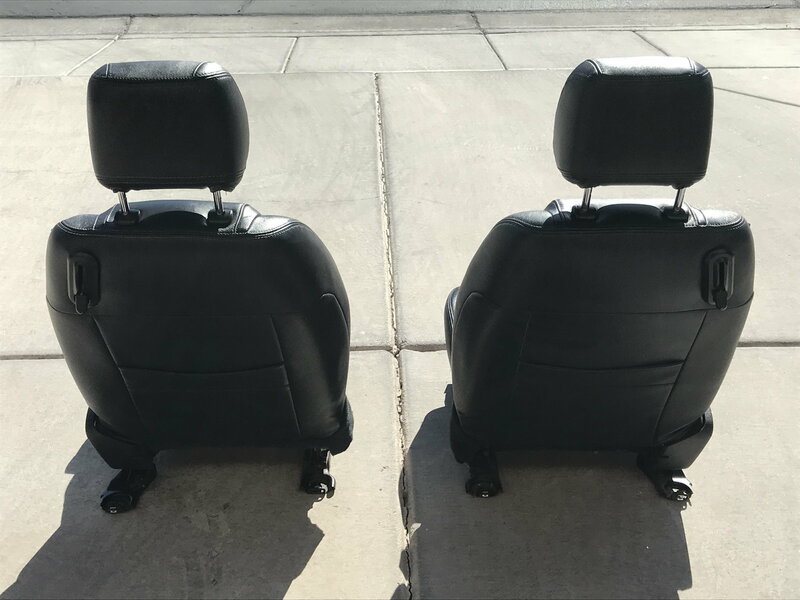 These seats came off of a 2014 GT with only 55k miles. These will fit 2010-2014. Includes the adjustable tilting headrests, which are in excellent mint condition. This is just the FRONTS ONLY. Fits Coupe, on original manual frames, with functional seat belt receptors, airbags, wire harnesses, and clip-connectors. Used, in good condition. 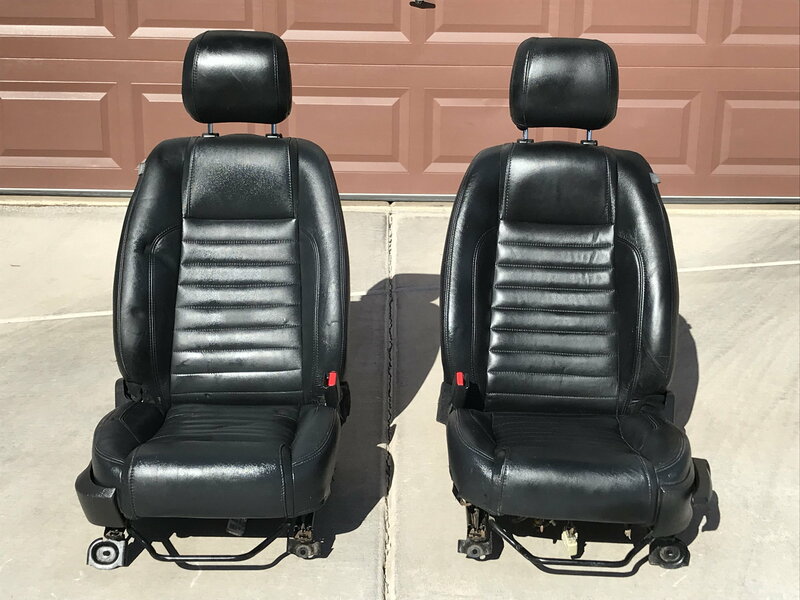 These are not mint, not perfect, with some indents in the foam on the passenger seat. 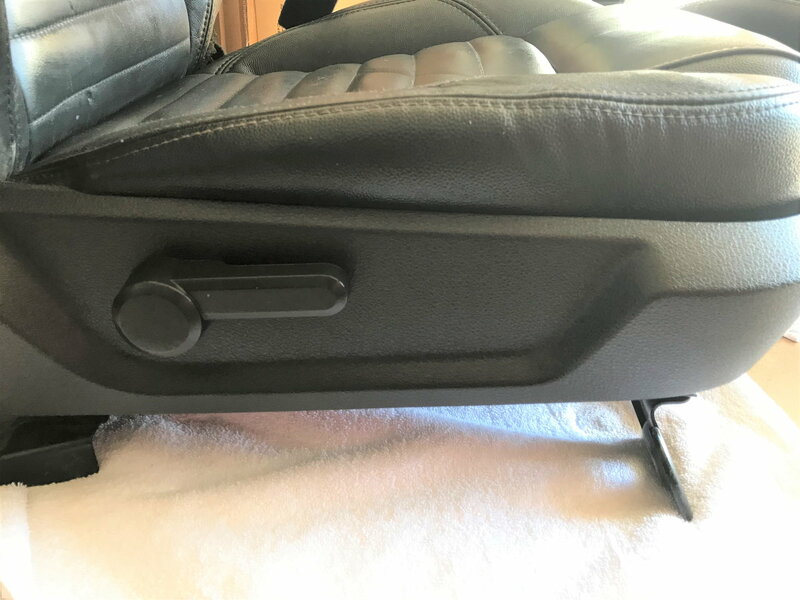 Also, the side plastic on the passenger seat is about 1 inch loose. Recently professionally cleaned, conditioned, and detailed so they are still pretty nice. Local Las Vegas pick-up only. Smoke-free home/car. Contact Peter.